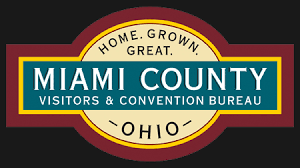 Mainstreet Piqua’s 2nd Rockin’ River Duck Drop was held this past Saturday and despite the dangerous weather conditions there are winners in the annual event. The first place prize of $1,000 was won by Rick and Beth Hanes of Piqua. The second prize, a $500 landscaping makeover donated by Lillicrap Mulch & Timber, was won by Jim Henestofel of Piqua and the third prize of a $250 shopping spree at Barclay’s Men’s-Women’s Clothiers, was won by Linda & Henry Ernst of Piqua. The last and lazy duck, which was worth a new rocker/recliner from Town & Country Furniture, was adopted by Joe Hinds of Piqua. The duck drop on Saturday was interrupted by a tornado warning. Lorna Swisher, executive director of Mainstreet Piqua says they did what they could to make the event as fair as possible. “When the tornado warning went off, and the duck drop was not complete, we had our volunteers collect the three ducks that were obviously in the lead, and the last duck that was lagging behind, and those ducks are the winners.” said Swisher. “For their safety, we had to get our volunteers off the river as soon as possible. Safety has to be our number one concern.” noted Swisher. The Rockin’ River Duck Drop was sponsored by Unity National Bank, Ticon Paving, Miami Valley Centre Mall, PSC Crane & Rigging and Lillicrap Mulch & Timber Services. 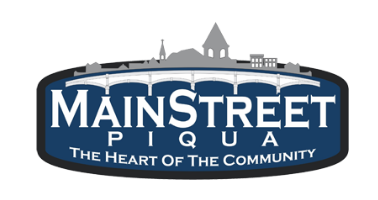 For more information about Mainstreet Piqua please visit the website at www.mainstreetpiqua.com or call 773-9355.